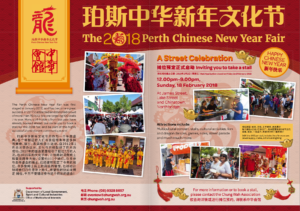 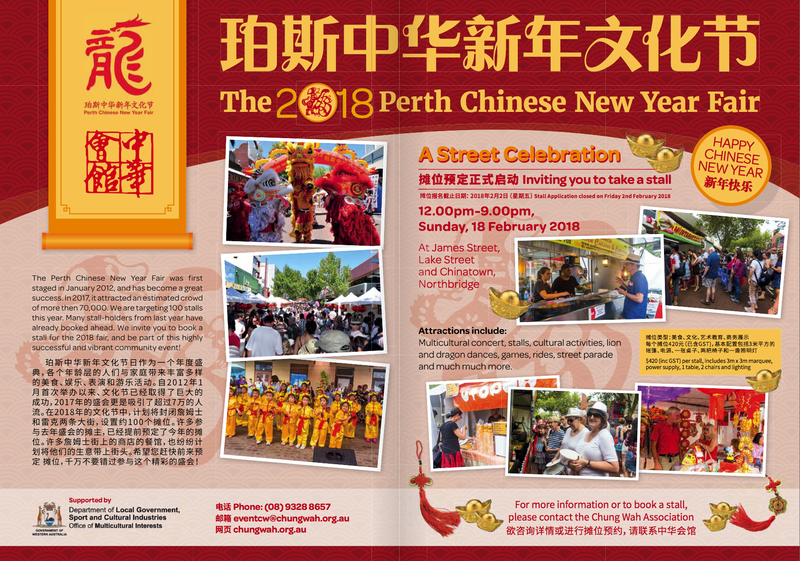 The Perth Chinese New Year Fair comes to Northbridge on Sunday 18 February 2018, noon to 9pm. 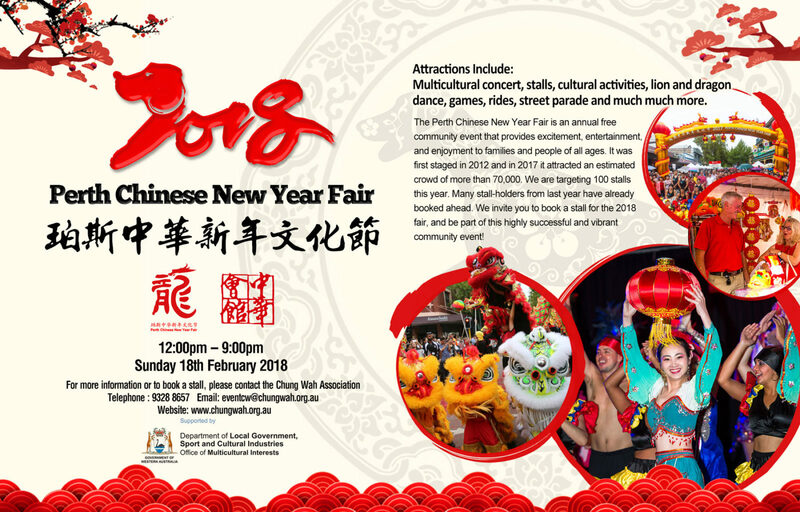 This multicultural extravaganza includes a parade, stalls, cultural activities, lion and dragon dancing, multicultural concert, games and rides. 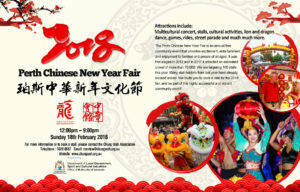 Cultural performances will dazzle throughout the day on James and Lake Streets and in Chinatown on Roe Street.